Pierre-Emerick Aubameyang's 18th Premier League goal of the season downed Watford and sent Arsenal up to fourth in the table but their dismal away form continues. A nightmare for Foster! He dwells on the ball and his clearance ricochets off Aubameyang and into the net! Deeney is shown a straight red for an elbow into the face of Torreira. As Alan Smith says on commentary: "It's a silly challenge." 20' What a save from Leno! Cathcart smashes a fierce shot on goal from close-range on the half-volley, forcing Leno into making a smart save with his left leg! 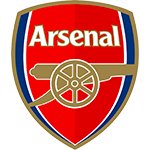 Arsenal counter and Iwobi hits a left-footed shot on goal aiming for the top corner which Foster acrobatically parries behind! 32' Another great save from Leno to deny a free-kick shot! It's a fine strike from Capoue who curls his free-kick around and over the wall. There's some whip on it but Leno does spectacularly well to get to it with an outstretched left arm! Arsenal counter with four players surging forward. Iwobi picks out an unmarked Mkhitaryan at the far post, but his side-footed volley is excellently stopped by Foster's right boot! 62' OFF THE BAR! 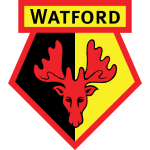 Nearly a screamer for Watford! Masina unleashes a venomous drive from 30-yards out which crashes off the woodwork! That was a fantastic effort! Wow.